The city of Franklin will host the first in a series of public information sessions about the proposed Northern Pass project. The Berlin Daily Sun reports the meeting is scheduled for January 11 at the Franklin Opera House. 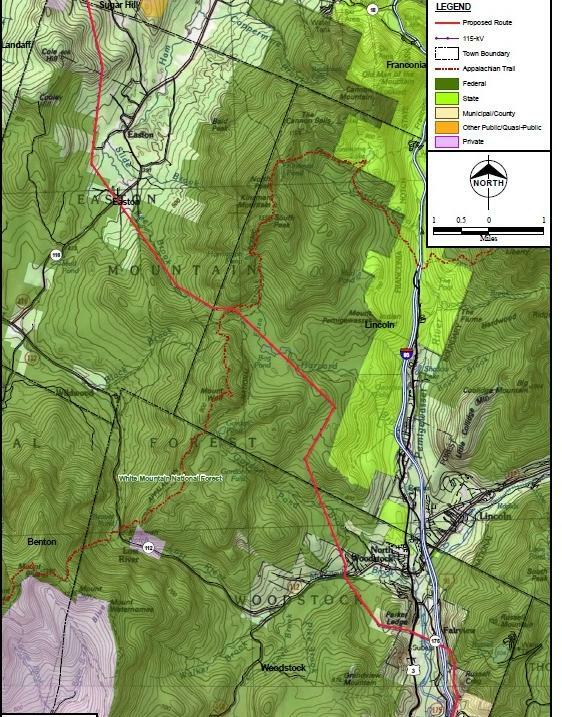 The public sessions are part of the year-long permitting process that began when the state’s Site Evaluation Committee ruled in December that Northern Pass’s application was complete. The meetings will include presentations on the hydro power project and on the permitting process. Members of the public can also share comments and ask questions. Northern Pass officials say they will also have representatives on hand to answer questions from individuals. There are additional meetings scheduled this month in Londonderry, Laconia, Whitefield and Lincoln. Update 1/6/15: there will also be a meeting in Whitefield. The story has been updated. Public hearings have been set for January in five counties where the proposed Northern Pass electrical transmission lines would cross. Hartford, Connecticut-based Eversource wants to run a 192-mile transmission line from Pittsburg to Deerfield, carrying 1,090 megawatts of Canadian hydropower to New England. Backers say it will create jobs and lower costs in a region that pays the nation's highest average cost for electricity. 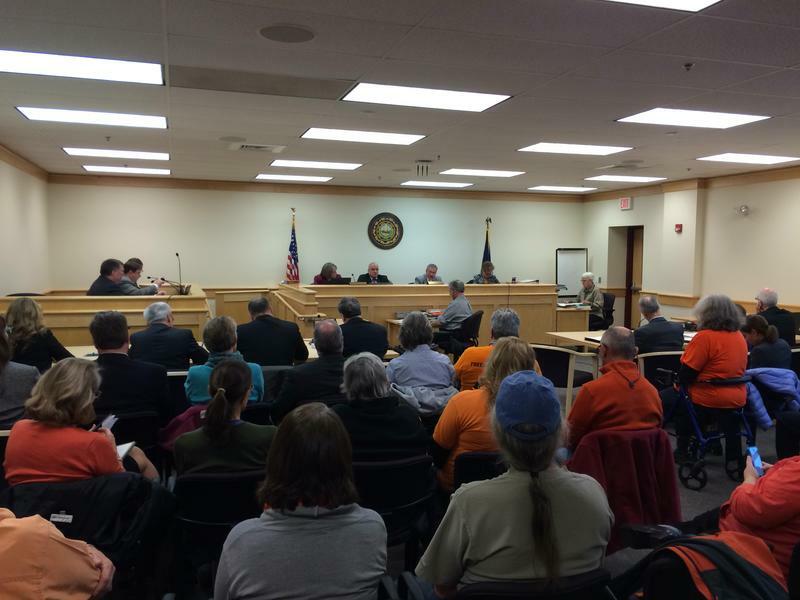 Opponents have argued it will hurt property values, tourism and the environment. 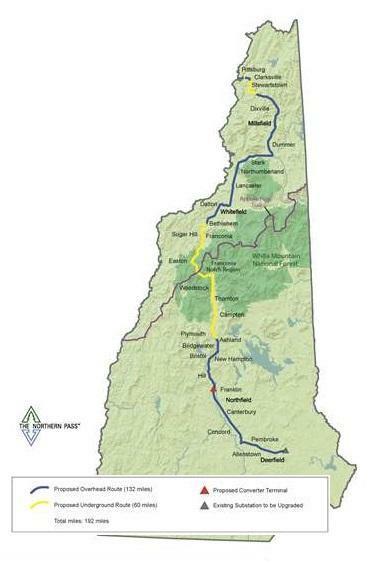 The state board tasked with reviewing and approving large energy projects has accepted the application to build the Northern Pass Transmission line. "I've looked at the application. I note that all the state agencies with permitting authority say the application is complete," Commissioner Kathryn Bailey told a packed hearing room at the Site Evaluation Committee, "I have a ton of questions about the application, but I'll start the discussion by saying I think that what they're required to provide in order for us to proceed is complete."